Are you facing criminal or DUI charges in the Laughlin, Henderson, Enterprise, Paradise or Las Vegas, NV areas? Our Las Vegas Criminal Defense Lawyers are “Some of The Most Experienced Las Vegas Criminal Defense Attorneys for Domestic Violence and DUI / DWI in Las Vegas and the Entire Nevada Region” With almost 2 decades practicing law in Las Vegas our Las Vegas criminal defense lawyers possess a very in depth knowledge of the Las Vegas criminal justice system. Las Vegas Nevada Criminal Attorney Gregory D. Knapp serves those facing criminal, DUI and traffic violation charges in all of Clark County, Nevada including Las Vegas, North Las Vegas, Henderson, Paradise, Laughlin, Primm, Mesquite, Sloan, Arden, Nelson, Jean, Boulder City, Mountains Edge, Enterprise, Nellis Air Force Base and the UNLV campus. Violent Crimes including assault, sexual assault, battery, offensive toughing and others. Probation Violations for drug crimes, DUI, missing check-ins, violent crimes, etc. No matter what type of charges you are facing please contact Las Vegas Criminal Lawyer Gregory D. Knapp to discuss your case. Let him put his experience to work for you. Facing criminal charges or DUI charges of any kind is a scary time. You have many questions and your life is suddenly very complicated due to court dates, uncertainty, legal penalties, loss of driving privileges and not knowing if you should hire a Clark County criminal defense attorney. With all of this in mind you absolutely need to retain our Las Vegas criminal defense lawyers. They have a wealth of experience and will make having your charges dropped or dismissed their top priority. 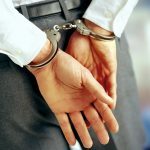 In some cases, especially in cases where there is a previous arrest and or incarceration history, having your charged dropped is not a possibility. In these cases Mr. Knapp will set his sights on minimizing the administrative, financial and legal penalties on your pending charges. 1996: APPELLATE DIVISION: Wrote dozens of appeals to the Criminal Law Nevada Supreme Court and the United States Supreme Court. Argued on behalf of the State in the Nevada Supreme Court on five occasions. 1997: FORFEITURE UNIT/DUI TEAM: Litigated all complaints for the forfeiture of all money, vehicles and property seized on behalf of the LVMPD. 1998-2004: JUSTICE AND DISTRICT COURTS: Prosecuted all types of felony and misdemeanor cases in Las Vegas Justice Courts and District Courts. 2000-2001: DOMESTIC VIOLENCE UNIT: Prosecuted over 2,000 domestic violence cases, including over 100 trials. Attended and completed a 40 hour course seminar on domestic violence in Anaheim, California. This experience gives me more domestic violence experience than any other practicing defense attorney and leads to over 100 dismissal and reduced charges every year. If you have a charge of domestic charges and need them off your record, call me for a free consultation. 2002-2004: OUTLYING AREA PROSECUTOR: Prosecuted trials and preliminary hearings of all types in the townships surrounding Las Vegas in Clark County and all surrounding cities. My experience and reputation in the outlying areas like Laughlin, gets you the best possible results at the lowest rates. 2005: BAD CHECK/MARKERS UNIT – TEAM CHIEF: In charge of the District Attorney’s largest division in responsible for prosecuting bad checks throughout the valley and casino markers of behalf of casinos. From millions of dollars in bad markers to routine bad check cases, I get them resolved. HIGHLIGHTS: Personally conducted over 50 felony jury trials, including: several murder cases and co-chaired a high-profile double murder, death penalty case with District Attorney, David Roger. 2006-present: Private Criminal Defense Attorney: I have been practicing my own private criminal cases for the past 11 years and still going strong. I have over 150 active criminal cases and around 3,000 closed cases. If you’re interested in learning more about me and my law firm and what we can do for you, please don’t hesitate to reach out. We will be more than happy to assist you in anything you need to make you feel assured with whatever situation you’re facing. Don’t let one little mistake ruin your bright future. If you need an ethical Criminal Defense Law Firm, don’t settle for less than the best! I understand your case and I want to help you. Your interest is my interest. I work for you, not the court like someone appointed for free and not a bail bond company that wants you to plead guilty and be free of the bond. I don’t share fees or take orders from Bail Bond companies to get referrals. Hire an experienced and successful former prosecutor and college professor that knows Nevada court system. Do not wait another second to contact our Las Vegas criminal defense lawyers and Las Vegas, Nevada DUI defense attorneys for a free consult. With many years experience, and an intimate knowledge of the Nevada legal system, they will fight to protect your rights, freedom and reputation. Our Las Vegas Criminal Defense Lawyers offer free consultations and serve all of Clark County, Nevada including: Las Vegas, North Las Vegas, Laughlin, Henderson, Primm, Paradise, Enterprise, UNLV, Nellis Air Force Base, Boulder City, Whitney, Moapa Valley, Mesquite, Jean, Sloan, Spring Valley, Summerlin South, Sunrise Manor, Nelson, Arden, Winchester & Mountain’s Edge, NV.